BERKELEY, Calif., Sept. 20, 2011 (SEND2PRESS NEWSWIRE) — The University of California at Berkeley, in partnership with the World Mind Network, is becoming the nexus of a new movement aiming to maximize the vast power embedded in commonly used Web and Smart phone technologies to effect useful change in the world. According to Sarah Mendel of the NGO Friends Without Borders, UC has the size, reputation, and brainpower to show the world the under-realized potential of social networking, micro blogging, cell phone apps, online video, and other popular free electronic tools to solve problems in education, research, environmentalism, and social change. Berkeley is no stranger to initiating new trends, having sparked the Free Speech movement of the 1960’s, and various other cultural, scientific, and academic shifts. Wikis, search engines, social networking, and the other Web 2.0 phenomena are not new; what is new is the ability to combine their best features to create easily set up projects that allow individuals to have real impact on issues that previously could only be addressed by huge institutions. Because so many of these things have been introduced to the public as toys, conveniences, or merely as ways to do traditional things a little more efficiently, we forget that programs like Google, Skype, Twitter, Facebook, YouTube, and the like allow modern humans to know almost anything, communicate with almost anyone, create and share almost any kind of content for free, and thus live a richer life than any previous generation. Because we rarely “step back” to examine how powerful these capabilities have made us, we often fail to realize their potential to bring solutions to age-old problems with far less time, cost, and stress than traditional methods. Additionally, the fact that modern web tools allow individuals the ability to create large Internet “footprints” for themselves means that one person can create a permanent web niche for themselves around a particular issue. In practice, this means that Berkeley students are experimenting with making their work far more public, and yet more personal, at the same time. – Built one of the world’s largest online crowd-sourced experiments which discovered several causes for a sudden fish die-off in Taal Lake in the Philippines, and suggested treatments which were successfully implemented. For more information write to worldmindnetwork@gmail.com . 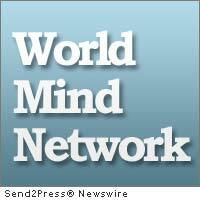 – RSS news feed for World Mind Network: https://send2pressnewswire.com/author/world-mind-network/feed . Original Keywords: World Mind Network, Sarah Mendel of the NGO Friends Without Borders, Wikis, search engines, social networking, web 2.0, Berkeley students, University of California at Berkeley, UC, Toomey World Mind Network Berkeley California BERKELEY, Calif.
REFERENCES: California Business News, World Mind Network, Sarah Mendel of the NGO Friends Without Borders, Wikis, search engines, social networking, web 2.0, Berkeley students, University of California at Berkeley, UC, Toomey World Mind Network Berkeley California BERKELEY, Calif.